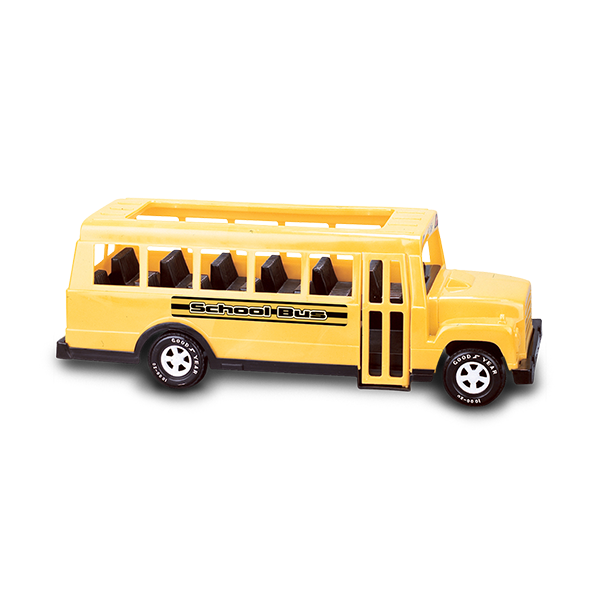 18" SCHOOL BUS | American Plastic Toys Inc. The wheels on the bus go round and round! This school bus features an easy-open side door and an open top to hold figures. It also includes bright decals and wheels with hubs. Packed in a colorful “Dump Display” box.